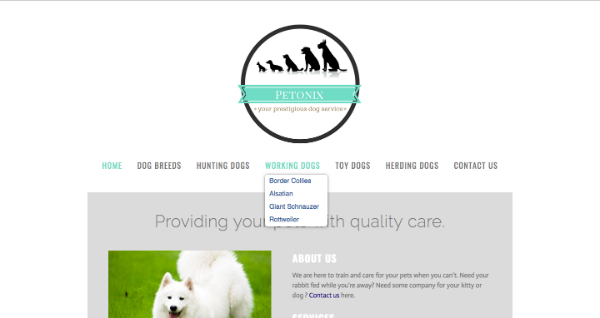 If your website has many pages, not all of them need to appear in the main navigation. You may wish to have your visitors navigate through other pages of your site to find related content. This tutorial is going to show you how to use the Flyover Menu feature to improve the navigation of your website. The Flyover Menu is available on all Free and Responsive templates. 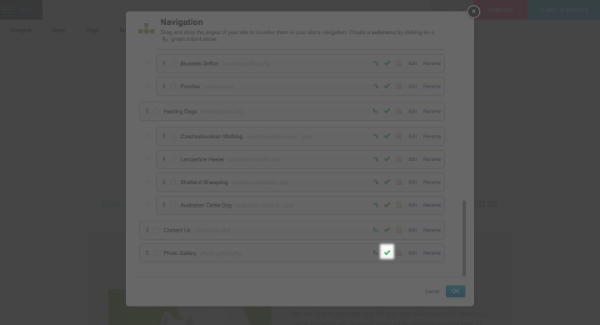 The first step is to decide what your pages are going to be and how they are going to be grouped together. For the purpose of this exercise, I am going to make a website about the "Dog Breeds of the World." My goal is to share information about the various type of dog breeds and dog groups. Create new pages by clicking Page and then clicking on the yellow "+". Enter the name of your page and page heading. I am now going to create all the pages for my site. This website is going to have a total of 20 pages. 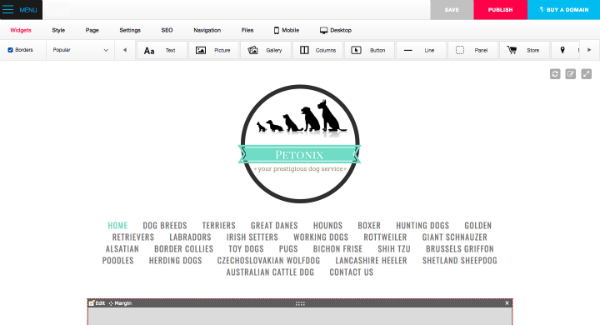 Look how the navigation bar might look with all 20 pages - if I were really making a website about all the breeds of dog in the world it would have hundreds! The Navigation dialog box will display. Click on the green indent arrow next to the page you'd like to make as a subpage. 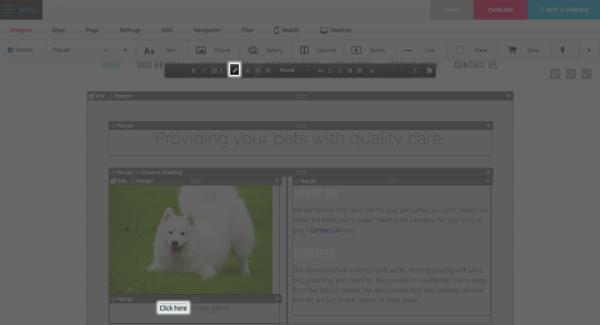 Drag and drop your pages vertically under the top-level page to get them in the right order. 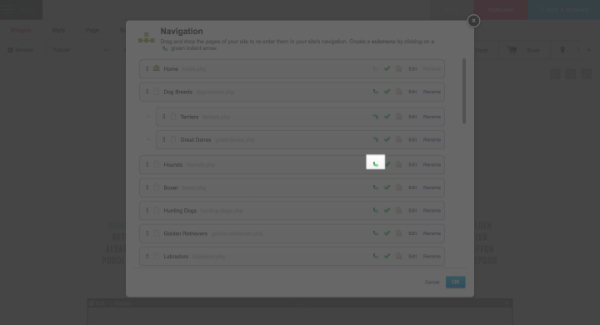 When you mouseover one of the categories, you will see the Flyover Menu display with the list of subpages I created. This effectively allows you to browse my site without the cluttered navigation. Select Popular from the drop down menu. Click "Link" button (looks like a chainlink) on the Text Editing Toolbar. In the Link Editor dialog box, browse for the page you want to link to and click OK.
You will now have a well-organized site with a clear hierarchy that will help your visitors find the information they are looking for.